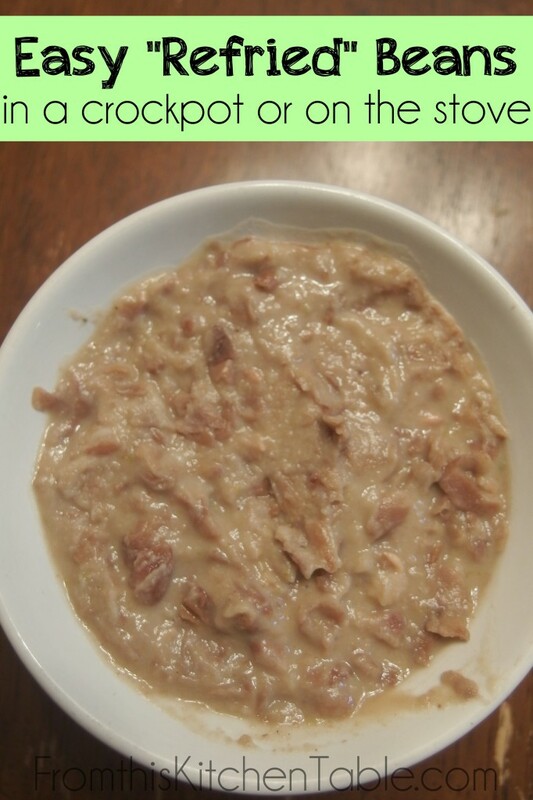 I suppose these would actually be called unrefried beans and not be considered authentic as there is nothing fried about them but they have become a staple in our home the last several years. If you don’t have dried beans, you can still use the same seasonings on canned beans. It really doesn’t add on any more hands on time to use the dried beans and you’ll be saving yourself money. I highly recommend you give it a try. Using fresh onion and garlic (and deseeded jalapeno too if you like a kick) in the cooking of the beans is completely optional. If I’m out, I’ll still make up the beans with no seasonings in the cooking liquid and add extra onion and garlic powder when I’m smashing them up. These beans can also be made on the stove instead of the crock pot. You’ll just want to watch the water level and add more if needed. There are concerns of toxins not being removed from the beans when cooked in the crock pot, but I’ve found that on high my pot gets the beans up to a full boil. If yours doesn’t, you can boil them on the stove for 10 minutes and then return to the crock pot to finish cooking. 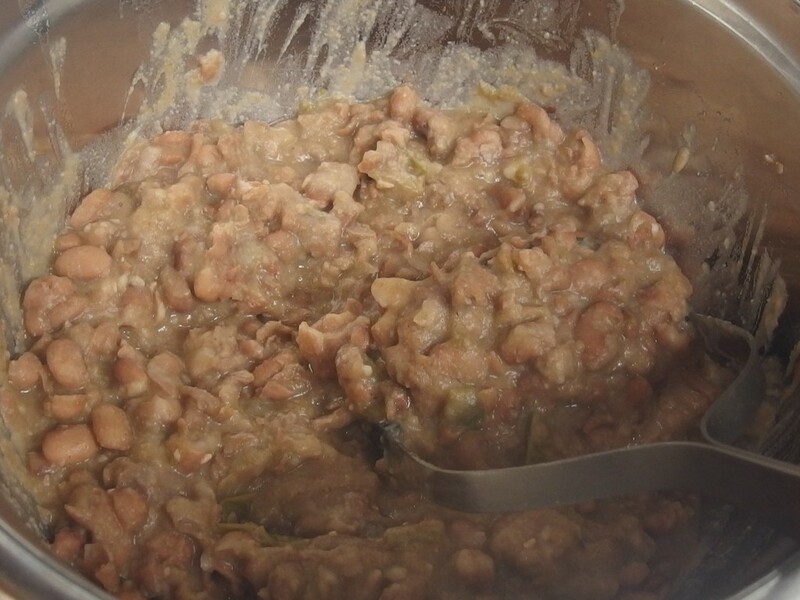 Rinse and soak the pinto beans overnight. Drain and rinse beans and place in the crock pot and cover with water. Add a peeled and quartered onion and peeled and smashed garlic cloves if you are using (and a deseeded jalapeno if you like a little kick). Turn to high for the last hour to allow beans to come to a boil for at least 10 minutes and finish cooking. When beans are tender and falling apart, use a slotted spoon and scoop beans into a bowl. Reserve the cooking liquid. Add cumin powder and seasoning salt. Add garlic and onion powder if you didn't use fresh in the cooking process. Use a potato masher and stir and mash the bean mixture until it is as smooth as you like. Add some of the reserved cooking liquid to make it as soupy as you like. It will thicken up as it sits at room temperature. Cool and separate into storage containers and freeze what you won't use the first week. You can also cook the beans on the stove top for several hours until tender and falling apart. 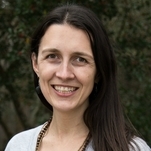 This entry was posted in Sides, Uncategorized on July 29, 2014 by Deanna Michaels. Thanks for the recipe! I love homemade refried beans but have never attempted to make them myself. And, I’m not a fan of the canned variety. You are welcome! They are really easy and you can doctor them up to your family’s liking and they don’t have the slimy gloopy texture the canned ones do. I am pinning these. I love refried beans and have always wanted to make them myself. Thanks for posting!! Me too! They are tasty and easy. Love that they are so easy to doctor to your family’s taste. Thanks for pinning. I appreciate it! like they would be great. Can’t wait to make some. You are so welcome! These are super easy and it’s great that you can adjust the seasonings to be just what your family wants and you know exactly what’s in it. Hope you guys enjoy them. I’ve been making mine in the crockpot too and they have become a staple for us too 🙂 My boys always look forward to burrito night with them (though they can make short work of one pound!) and I love how economical they are compared to the store bought ones. I started using some chipotle chili powder in mine and it has become a favorite. I want to try adding a jalepeno next time. So fun to see how you do yours! Chipotle chili powder sounds amazing. Thanks for the idea! Ha ha, I imagine those beans disappear quickly! Thanks or stopping by. We do this too. It’s a such a time saver – and budget saver. Thanks so much for sharing at Simple Lives Thursday; we hope to see you again this week! It is super affordable and really doesn’t take long at all. Thanks so much for hosting! Easy and convenient is the way to go! I love being able to pull some out of the freezer when I’ve run out of meal options. My friends have been telling me how to make this but I am a visual person so seeing the recipe makes sense now. I have always wanted to do this. I found you on the weekend re tweet party. It is super easy and you can use whatever you have and taste as you go! Thank for stopping by. Hope they turn out for you!